View from Mt. Morgan at 13,000 level looking South West toward Mount Dade and then Abbot and Mills. 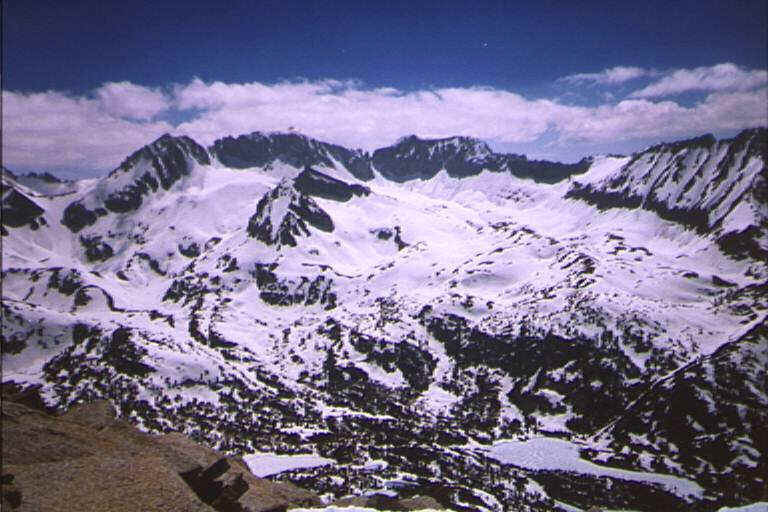 The left edge of the picture shows the Hourglass route on Mount Dade on June 25, 1998. Photo by Howard Cohen (description co-authored by George Sherman).